This morning on the radio, I heard what I feel like is one of the best pieces of news I have heard in a long time. The Texas Rangers drafted two friends from the University of Georgia: Johnathan Taylor and Zach Cone. It may not originally sound like much, but Johnathan Taylor is paralyzed from the waist down due to a collision he and Cone had in University of Georgia ball game on March 6th. The Rangers decided to draft him anyway, because they felt like he was the kind of person that they wanted in their organization. According to Fox News, Texas' Director of Amateur Scouting Kip Fagg said that Taylor's selection was "something we felt was right." This story made my day today, because it's not often you hear amazingly good news. Usually all I hear on the way to work is war, crime & taxes. But this story made my day, and most likely my week. 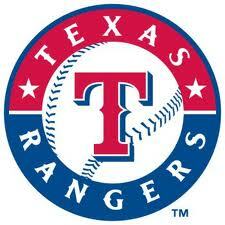 The Texas Rangers are now my new second favorite baseball team... I'll always be a Yankees girl first. WOW!! You are got really very nice information form radio.